I was talking to a friend who had come back from Mayo Clinic , and he was raving about how helpful the doctors there were. 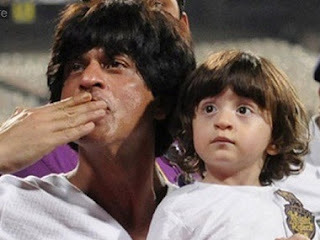 They shared tons of information, so he could make a well-informed decision ; and they spent a lot of time counselling him and helping him to decide for himself. He was very impressed with how much time and trouble they had taken in creating and disseminating patient education material. And then he said - But of course , this will never work in a country like India , where people are illiterate and poor , and cannot understand what's happening. I had to respectfully disagree with him. Yes , we can't copy and paste the American model for patient education , but the truth is that just because people are illiterate doesn't mean that they are not able to make their decisions for themselves. In fact the poor have to be much street-smarter than us, simply in order to be able to survive . The truth is that the opportunity to educate patients is far greater in India, because we are starting with a clean slate. While Americans suffer from an information glut, Indians are starving for health information which is designed for their needs. As doctors , the onus is on us to think of clever way of reaching out to them and educating them . We need to start with where they are , and then hold their hand to bring them to where we want them to be. Now just because they can't read and write doesn't mean that we can't teach them . In this day and age, it's possible to use video on a smartphone in order to make sure that patients understand what their options are , so they can make thoughtful decisions in partnership with their doctor. Because the doctor cannot explain their problem and options to them in a medium which they can understand , he then resorts to calling them stupid. Doctors need to learn new techniques in order to teach illiterate patients. An investment in these educational initiatives would provide a far better ROI because there are so many poor illiterate patients in India. If we can reach out to them, we would have a much greater impact on the health of Indians as compared to educating the urban rich. My elder daughter is headed off to Stanford Business School to do her MBA, and this is the advice my younger daughter ( who is at Yale) had to give her. 1) Set up a bank account . I don't know about the West Coast but pick one that has the max number of ATMs and branches close to you and Stanford. I've heard BoA is always good (that's who I bank with). Get a credit card to start building credit history - they'll give one to you without an SSN ONLY IF YOU GET IT AT THE STUDENT BANK OUTLET AT STANFORD. Otherwise getting a credit card without a job and credit history is hard. 2) Get a phone number. Don't get a contract - they make no economic sense and they're very tough to get out of. T-mobile has cheap family plans - you can either join someone else's or create your own. They start at 4 lines and have 10 GB of data on each which is INSANE. It works out to about $30 per line per month. Compare this to AT&T who charges upwards of $60 for just 1 GB of data..I've never had issues with T-mobile and my family plan is awesome.Also they have international calling plans - I have one that calls to 80+ countries (including India and the UK) for an additional $10 a month. 3) Get a phone. You can pick whatever you want. I think the phone you have is fine though but get one with 64 GB of data OR MORE. I can't stress this enough - there are SOOOO many apps that take up so much space. Don't compromise on this. Also get a laptop while you're at it. I'd recommend a 13" mac book air and NOT the new 12" mac cause it doesn't have a traditional USB (it has USB c which hasn't caught with the rest of the world). The Pro was too heavy for me. Get a Mac over PC cause everything here - especially in Stanford - runs better with Macs. Unless you foresee yourself doing a lot of excel modelling. Also once you get a house and need to decorate - buy stuff from discount stores like Ross, Marshalls, TJ Maxx and Nordstrom Rack. You find the CUTEST stuff in their home sections for really discounted prices. A lot of it is designer also. Don't waste money at IKEA and stores like Bed, Bath and Beyond without checking these out first. Trust me, I really regretted it. This counts right from lounge chairs to mats and towels to candles and other home knick knacks. This is her opinion based on her personal experience - your mileage may vary ! Most doctors have a sweet spot for everything we do , including seeing patients. Thus, if we see about 10 patients a day and it takes us about half an hour to see a patients, that means we're busy working for about 5 hours and this gives us a sense of professional satisfaction that we've done a good job, and it allows us to spend enough time with each of our patients , so they're happy as well. If we assume this is our sweet spot, then this is the optimal number of patients we should plan to see everyday. We then need to price our fees so that seeing this number of patients would allow us to earn as much money as we require. The problem arises at both the ends of the spectrum - either we don't have enough patients to see, which means we end up twiddling our firms doing nothing; or we have too many patients to see , which means we're so busy , that we really don't have enough time to devote to each patient, and we may end up missing the diagnosis . A rushed doctor creates a lot of patient dissatisfaction, because patients are made to wait for too long, and they don't get to spend enough time with the doctor. Having too many patients to see paradoxically also reduces the amount of professional satisfaction for doctors. It upsets our work life balance , and if we spend too much time in the clinic because there're too many patients to see, we don't have enough time either for our self or for our family. The key is to find the optimal middle path. When you're just starting practice and you don't have too many patients, your major focus is on acquiring new patients. Sadly, this is a slow process, and it's not a good idea to take shortcuts . When you have slack time , rather than complain about this, you should learn to utilize it gainfully - for example, by sharing your knowledge online, by publishing patient education articles and creating patient education videos. This will allow you to make use of your knowledge, so you can serve lots of patients, even though they are not physically present in your clinic. It will also allow you to build up your online presence and your digital reputation, but of which are priceless assets. If you have too many patients, then it's much easier to cut down on the number of patients you see. The tragedy is that most doctors aren't mature enough to realize that there is a price they pay for being excessively busy. The more senior they get, the busier they want to be ! Often, this is because they don't have any other hobbies or interests; or they're completely focused on maximizing their income. Some doctors are quite masochist, and take a lot of pride in the fact that they are working all the time, and they are so busy taking care of patients, that they don't have any time for themselves or their family, because they're always available for their patients. so many other patients waiting to see you. Doctors do find workarounds for this - for example , by employing assistants, but the quality of care they provide does suffer. Senior doctors need to have the maturity to be able to say enough is enough - I need to do more with my life than continue seeing more patients. One way of cutting down your workload is by increasing your fees, so that patients will go elsewhere . An even more graceful method is to refer your easy patients to your juniors ! They will be grateful for this gesture, because you are helping them to grow their practise. I personally feel that doctors who are too busy just have poor time-management skills, and they are being unfair to themselves, their patients and their family. 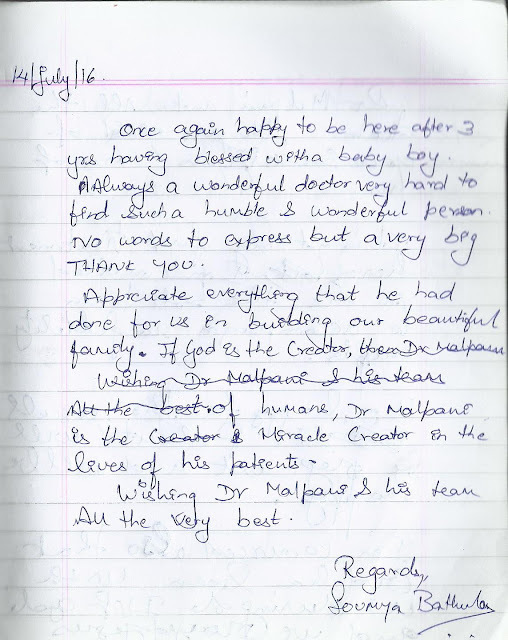 A Malpani Infertility clinic patient review - coming back for her second baby ! 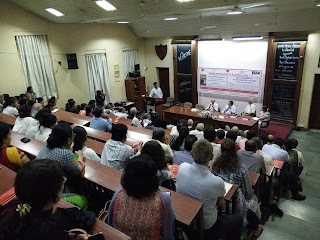 The panel discussion on " First, Do No Harm: featured the medical legends, Dr Farokh Udwadia, Dr Yeshwant Amdekar and Dr Sunil Pandya. It gives a rare glimpse into the heart and soul of a doctor - and you can see what makes them keep awake at night worrying about their patients. 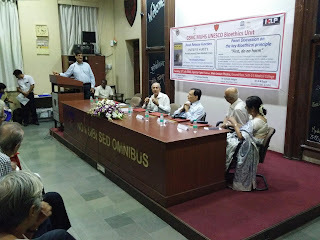 The book release was followed by a panel discussion on " First Do No Harm" . Dr Farokh Udwadia, Dr Sunil Pandya , Dr Yeshwant Amdekar and Dr Urmila Thatte shared many useful pearls mined from their years of clinical experience on what doctors can do to improve patient safety. It was a great feeling to be back in my alma mater. We had a full house and the Seth G S Medical College and KEM Hospital team did a great job with organising the book launch and the panel discussion ! 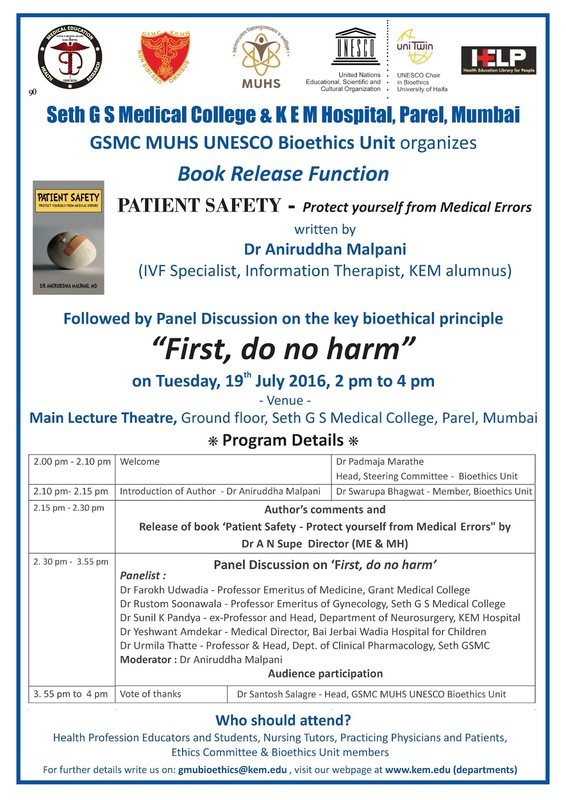 You can read the book at www.safetyforpatients.in or download it at http://www.slideshare.net/malpani/patient-safety-protect-yourself-from-medical-errors ! While being an IVF specialist is a lot of fun because we're helping people to have deeply loved babies, the one part of my job which I hate is having to tell patients their hCG is negative and the cycle has failed. This is specially true when the cycle was perfect, we got good quality blasts, the transfer went well, the endometrium was perfect. Because no matter how much we explain to patients that an embryo is not a baby and that IVF doesn't have a 100% pregnancy rate, when the cycle fails their heart breaks. Quite frankly, mine does too. I'd be very happy if we could give them a baby , so that they could move on with their lives, and send lots of their friends to us ! It's very difficult to counsel these patients sometimes, because they're emotionally very upset, and even if their brain understands that we've given them good quality care, their heart still hurts. Often, they don't know how to cope with this. They either end up blaming themselves, or they blame God, or they blame the doctor. I tell them, "For heaven's sake, don't blame yourself. This is a biological process which no one can control, and you need to learn to be kind to yourself." 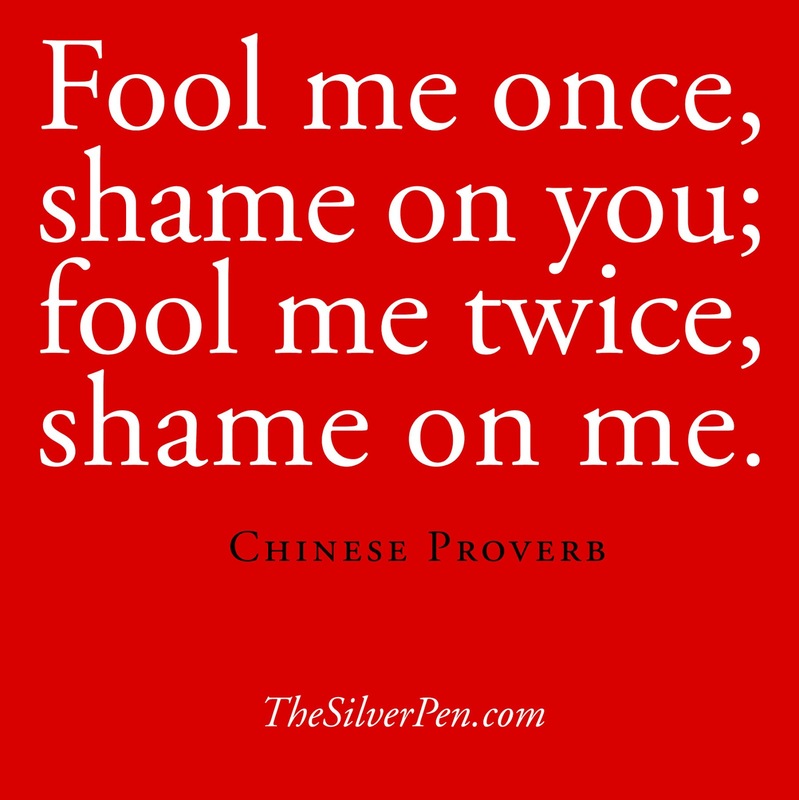 Blaming the victim is a destructive way of coping with IVF failure. Blaming God doesn't help either. I believe in a kind God who wants good things for us. I think it's helpful to have faith in a higher power who we feel is looking out for us. Whether you're religious or not, this belief can help you cope with dark times, even when you cannot make sense of his actions. As far as blaming the doctor goes, I don't like being blamed of course, specially when we have put in a lot of effort , and given patients the best possible medical care. We spend a lot of time counselling patients, and explaining to them what we're doing and why, so they know exactly what's happening. However, I'd much rather that they blame me , rather than themselves, because I have a clear conscience, and I know we've done a good job. Since I know no one could have done anything more, blaming me does not hurt me, and if using me as a punching bag helps to relieve my patient's distress, than I am happy for them to do this . I can deal with that blame, because I know it is mis-directed. I feel that giving them a target to get angry with helps them to vent their anger , so they can move on. 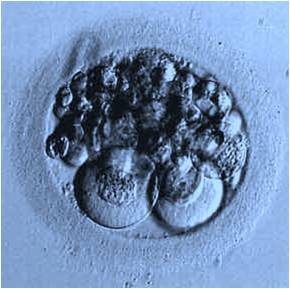 When an IVF cycle fails, the predominant emotions are one of depression and sadness, and this can be hard to deal with. When you feel sorry for yourself , you feel powerless and alone, and get paralysed into inactivity. Compared to this, anger is a better emotion, because you can channel it into doing something else - and I believe this is better than not doing anything at all. I tell patients that they need to find the strength to cope with this blow within themselves. While growing up, all of us have dealt with disappointments in our life, and we have sources of solace we can tap into. This could be a spouse; family members; friends; relatives, or a spiritual authority , such as a guru. 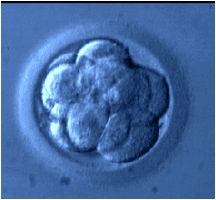 While I can help them analyze what went right in the cycle and what went wrong , there are still lots of grey areas we can't figure out - what we call the unknown unknowns, because IVF is still not an exact science. However, no amount of analysis can provide comfort when the cycle fails, and healing finally has to come from their heart. IVF is much more than just an infertility treatment. Most people think of IVF as being a treatment option which maximizes their chances of getting pregnant. However, the reality is that IVF can be a lot more. Thus while the primary purpose of an IVF cycle is of course to give the couple a baby, it also provides a lot of diagnostic information as well as prognostic information. We often diagnose infertile couples as having unexplained infertility . This means we are telling them we don't know why they're not getting pregnant in their bedroom, and many find this lack of a diagnosis very frustrating, because they are worried that if we don't know what the problem is, how will we be able to find a solution ? When we do IVF , we actually get a chance to see what the eggs look like ; whether they are mature ; and whether the sperm are capable of fertilising the eggs . Thus, some couples with unexplained infertility will have sperm dysfunction , which means that even though their sperm count, motility and morphology are completely normal, their sperm are not able to fertilise the eggs. The only way of making this diagnosis is by documenting total fertilisation failure in the IVF lab. This is invaluable information which we really can't get any other way. While this does mean that we will not have any embryos to transfer in the IVF cycle, it also means that we can now tell them why they have not been able to get their wife pregnant in the bedroom. 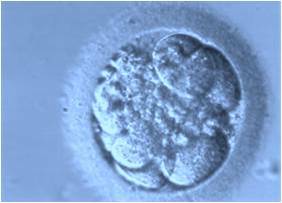 We can use this diagnostic data to do ICSI for them in the next cycle, so that we can help their sperm to make embryos in the lab. 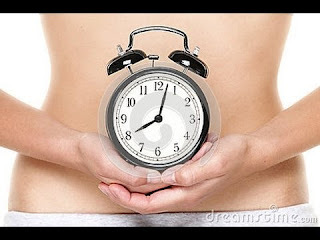 Similarly , the prognostic information IVF provides can be vital as well. Thus, we know that older women have a reduced chance of getting pregnant , but every older woman is different , and they all have different ovarian reserve. It's not fair to lump all of them in one basket ! Doing an IVF cycle allows us to actually check their ovarian response, and this is the best test for functional ovarian reserve - how well does she respond to superovulation ? Does she make good quality embryos in the lab ? 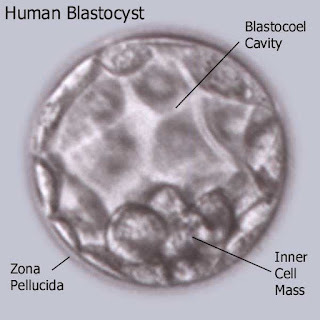 If we can get good quality blastocysts for her, even if she does not get pregnant, we can tell her she has a good chance, and can keep on trying IVF with her own eggs. On the other hand , if we embryo quality is poor, we can infer that the problem is poor quality eggs , and there's really no point in repeating the IVF cycle , and she would be better off considering third party reproductive options , such as using donor eggs . IVF can provide priceless information , and this is why it's important that every IVF cycle be properly documented . Embryo photos should be routinely provided to every patient, so that this data can be used for guiding her intelligently in the future. Even if the current IVF cycle fails, we can still extract useful information by analysing it thoughtfully, so we can tweak the treatment plan as needed. You just need an intelligent doctor, who is willing to mine the IVF data to look for the gems hiding there ! All of us have role models in our life and one of the doctors whom I look up to is a good friend , Dr. Rupin Shah, who is about five years senior to me . 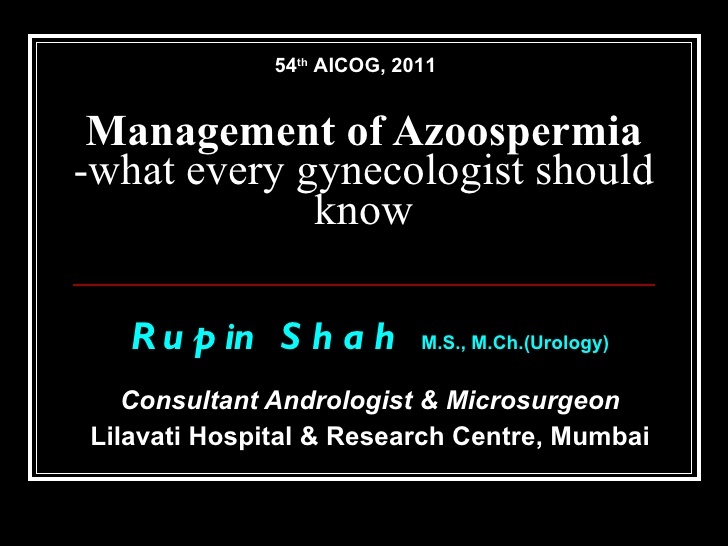 He is an andrologist , and specialises in treating infertile men. 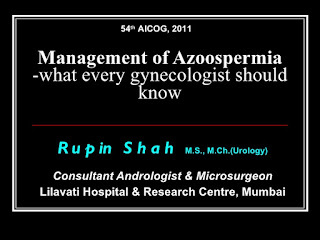 He is truly a doctor's doctor , because he's done pioneering work in the field of male infertility . He is considered to be India's number one andrologist, and is invited to give lectures all over the world. He is great demand, and travels all over the world because IVF clinics ask him to perform surgical procedures such as testicular sperm retrieval to help their infertile patients to have a baby. What I admire about him is that he's extremely open and transparent , and is willing to teach and share information generously. Not only is he a great surgeon with superb technical skills , he's also academically very sound. He is well-read and well-informed , and has a point of view which he can support with facts and figures. Even better, he is flexible and has adapted his surgical techniques over time, so that he improves year after year. He has devised lots of extremely clever solutions for the infertile man , so that using his techniques it is possible for Indian doctors to retrieve sperm from men with testicular failure at one-tenth the cost of what doctors in the US charge. Not only is he a great surgeon, he also has lots of other interests which he pursues passionately, and this seems to keep him young and fit. He loves hiking; is an expert meditator; has mastered malakumbh; and is now learning Sanskrit. My only complaint is that even though he has so much clinical experience , he doesn't share it with the rest of the world . I have been prodding him to keep a blog and upload his surgical videos to youtube, so that doctors all over the world can benefit from his expertise. I am hoping to be able to goad him into writing a book , because he has so many stories to share ! Lots of doctors find educated patients a pain in the neck. They feel that these patients think they are smart. That they spend a lot of time online. That they do a lot of research as a result of which, they ask lots of questions. They come with a long list of doubts, and they consume a lot of the doctor's time because they often don't trust what the doctor is saying and have their own opinion. They want the doctor to listen to them and clarify their doubts, rather than just provide his professional opinion. Lots of iWave doctors would be much happier treating either ignorant illiterate patients, who don't ask any questions or patients who are willing to put so much faith, trust, and confidence in their doctor that they are happy to let the doctor make all the decisions for them, so that they don't provide any inputs or personal preferences at all. Now that's not my style. I prefer treating intelligent educated patients who've done their homework and research and have their own. After all I'm not a veterinarian. I'm a doctor and I learn a lot from these patients because they've done a lot of research, and ultimately I'm just trying to help them to have a baby, so they have a particular world view, which maybe unique to them based on their life experiences. Since I'm not a mind reader, I don't know what their choices are going to be. I feel my role is to help them to achieve their goals rather than try to force my views down their throat, because after all infertility treatment is elective and there are always lots of options. Who am I to tell them which option they should be following? I like these patients because not only do I learn a lot from them, because of all the research which they do, but because of all the intelligent questions which they ask me, which help me to think a little more deeply about some of the advice I give. More importantly they have very realistic expectations. They understand that I'm not a magician or a miracle worker. 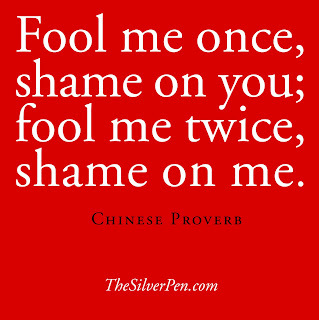 Means it is easier to manage the ups and owns of an IVF cycle and deal with failure because they understand that the outcome of a cycle is not in my hands or theirs. Also they are much sophisticated. 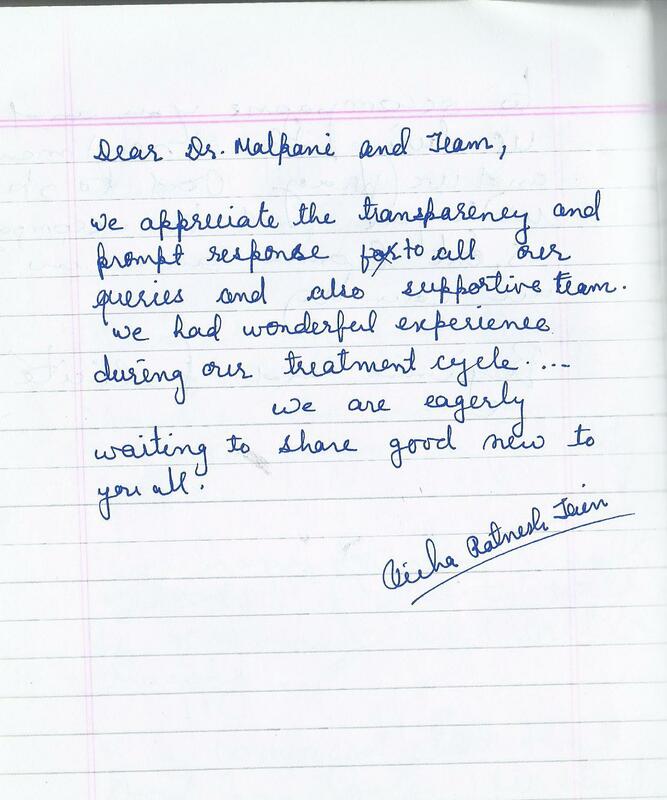 They appreciate the work we are doing, and they are mature enough to realize what makes us better than other IVF doctors because we are open and transparent and share information with them. 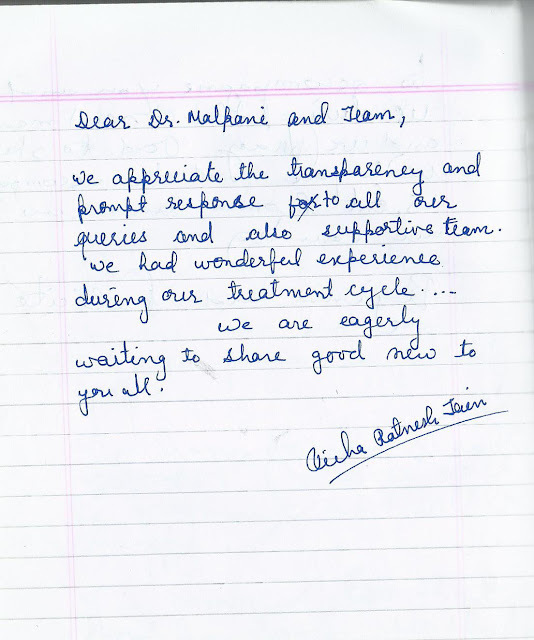 I think this mutual trust ensures us to get along very well along with these patients. Even better they are opinion leaders because they make intelligent decisions and have done their home work and are great sources of referral, because they carry a lot of clout in the patient community, and people look up to them. They've done their homework, and this is very helpful for our reputation. What I really like about them is that they make their own decisions, and they are not passively dependent on me or expect me to make to decisions for them. I can create a partnership with these patients, because they are empowered, and this is really what makes medical practice so fulfilling for me. IVF is a complex process , and the success rate is not 100 percent, which is why every patient wants to know what they can do to maximize their chances of having a baby. There are three important variables - the patient , the doctor and the laboratory. Let's look at them one by one. As far as the patient goes , it's great if the patient is young with good ovarian reserve, because she's going to grow lots of eggs , so we can make lots of embryos for her. Of course there's very little one can do about a patient's age, which means we will still treat older patients, and those with poor reserve as well. Even these patients can improve their chances of success by doing their homework , so that they can spend time and energy in selecting the best IVF clinic , and preparing themselves optimally for their IVF cycle. The doctor has an important role to play , not just in advising the patient as to what their treatment options are, but also in selecting the optimal superovulation protocol , to maximize the egg yield and optimize the endometrial environment , thus improving the chances of implantation . The doctor also has a key role to play in counselling the patient and providing emotional support, so that she has realistic expectations, and has the courage to be emotionally resilient and to bounce back even if the cycle fails , because it may require 3-4 IVF cycles before the patient has a baby. Also, the doctor should be flexible enough so that he can optimize the protocol for each individual patient , rather than use a rigid one size fits all for everyone. Also, the doctor needs to be technically skilled for doing both the egg collection as well as embryo transfer, and each egg and every embryo should be treated as an individual patient. Also, it's important that the doctor be ethical, and not mix and match donor eggs and donor sperm , simply in order to inflate their pregnancy rates. Finally, the embryologist is the unsung hero of IVF treatment, because the IVF lab is the heart of the IVF clinic . We can give him good eggs, and it's his skill which converts these eggs into high quality embryos in the lab. A full-time experienced and expert embryologist is the key to IVF success, and smart patients ensure that the IVF clinic they select has a great embryologist heading their lab. 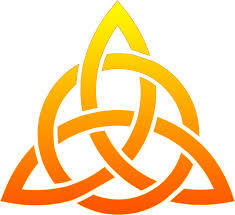 If all these three variable are favourable, then the success rate jumps dramatically . Now if you have a young patient with lots of eggs, then even if the doctor and the lab is bad, you will still get pregnancies, because the patient can compensate for both of these. This is why even bad IVF clinics continue to get pregnancies, because they attract a lot of young patients , by advertising aggressively, and offering bargain low-cost rates. They make up for their poor quality by doing large volumes , which means they will have lots of successes , even though their percentage success rates are low. Similarly , even if you have a patient with poor ovarian reserve, but the doctor and lab are good, this can compensate for poor egg quality. This is what can make a world of a difference , specially when you're dealing with a challenging patient. While many clinics will refuse to treat these patients, because they don't want them to affect their success rates, good clinics will be happy to show their mettle by treating these difficult patients. In some clinics, the doctor may be good , but the lab could be bad, because they have to depend upon a travelling embryologist. This can reduce their success rates dramatically. The trouble is that it's very hard for the patient to make out what's happening in the lab, because all they know is that their cycle has failed, but they don't have enough data to be able to determine the reason for the failure, because the clinic does not share medical records or embryo photos, which means patients are left groping in the dark. Read my article about why IVF doctors need to speak up about the ART Bill and make sure their voices are heard ! The Tamil Nadu Medical Council has issued letters to doctors, saying that they're not allowed to list their names on online doctor listing platforms, such as Practo, because they believe that this is tantamount to advertising. They have asked doctors to remove their names or they will take action. This has become a sticky issue for many reasons. Doctors have always been considered to be trusted professionals, and one of the jobs of the medical council is to make sure that medicine is practiced ethically. 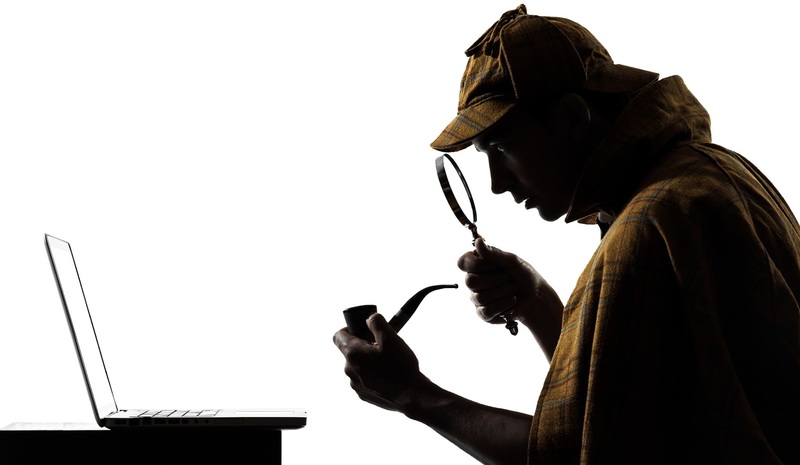 Lots of senior doctors believe that listing names on directories cheapens the medical profession, because then doctors will be treated as business men rather than professionals. They feel that this is below a doctor's dignity , and what doctors should focus on is taking good care of their patients. Their reputation , earned after a lifetime of taking good care of their patients, will help them to attract more patients. This is the counsel of perfection , and it made a lot of sense in the past , when doctors were few and far between. They basically just had to hang out their shingle and patients would line up to see them. However, I don't think this is a reasonable attitude in this day and age. We need to differentiate between advertising and providing information, and this where confusion arises , especially in this digital age. By not allowing doctors to reach out to patients digitally, the medical council is actually doing a disservice, not only to doctors but to patients as well. It is because doctors have not been able to connect with patients directly, that we now have so many middlemen who ask for kick-backs and commissions , in order to refer patients to specialists. This has now become endemic , and it is this kind of corruption which is causing society to lose trust in the medical profession. 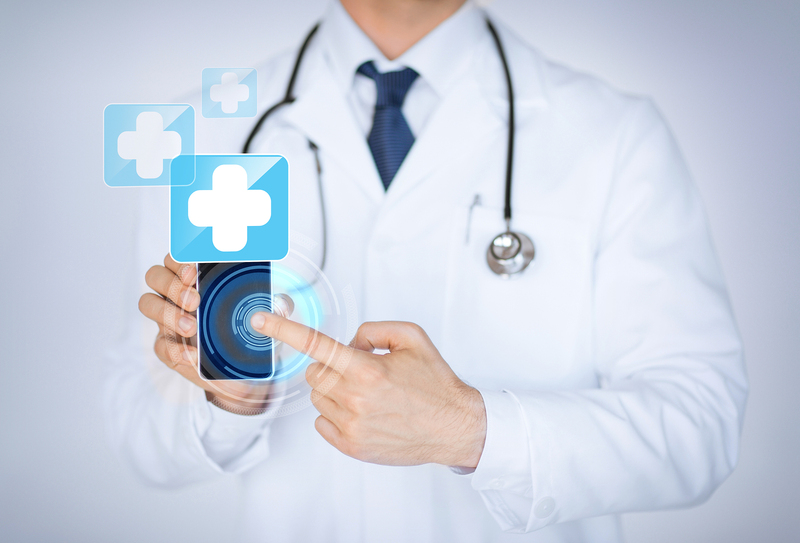 The good thing about a digital platform is that it bridges the gap between doctor and patient, and it allows patients access to far more information about their medical options than they could get in the past. This is a healthy trend, which should be encouraged. While it's true that sometimes this can be abused, I think it's dangerous to throw the baby out with the bath water. There are lots of advantages in encouraging patients to use online platforms to connect with doctors, because once a doctor is online, he's forced to be open and transparent. This is a great way of creating trust, because when a doctor says something on his website, it is public information which can be monitored, and the council can make sure that the information which is being provided is accurate. Fees can be published online, thus helping to reduce sticker-shock. This will help to keep costs down , and make medical care more affordable. Why are council members , who are usually senior medical doctors, upset about doctors going online ? Part of this is because they are conservative, and there is always resistance to something new. Senior doctors are often uncomfortable with the idea of an online presence, because they feel this lowers the medical profession's dignity. It is true that sometimes doctors will take undue advantage of this platform and provide information which is misleading. I think rather than refuse to allow doctors to have an online presence, it makes much more sense for the council to move with the times and become patient friendly as well as doctor friendly, by providing guidelines which explain what doctors are allowed to do and not allowed to do, so that they can create a win- win situation. It makes no sense that they use an Act which was passed over 50 years ago in order to draft guidelines, because that act is often irrelevant in today's day and age. The council needs to move with the times and help doctors to take better care of their patients - this is what its major duty is. This is actually a great opportunity for the council to help India to become a global medical powerhouse. We need to capitalise on the expertise and experience of our doctors. 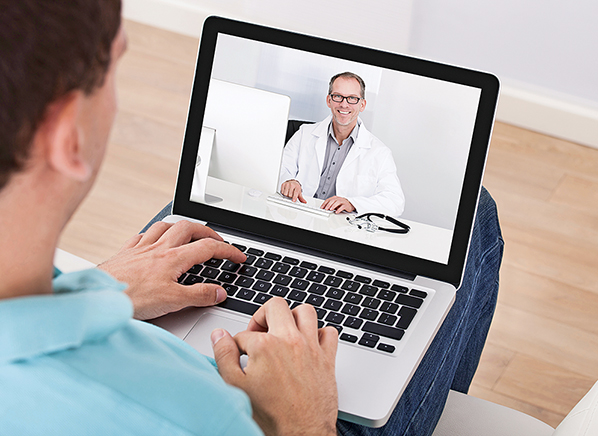 We can export medical expertise without exporting doctors by helping them to use telemedicine to reach out to patients from all over the world. This would be a great way of revitalising the medical profession, and earning valuable foreign exchange for the country. Indian doctors have a great reputation all over the world - let's make use of it by marrying IT and their medical knowledge. Computer engineers made India proud during the IT boom. It is now the turn of the medical profession, and the Medical Council can play a proactive role in doing this by encouraging doctors to go online, so they can display their clinical skill and expertise . For example, surgeons can upload videos of their surgical dexterity; and doctors can provide medical second opinions online very cost effectively. This is a huge opportunity, and if promoted and regulated properly, will also lead to a boom in medical tourism. Rather than clip the wings of Indian doctors, the council should encourage them to help patients all over the world by going online. We all know that IVF can be an expensive treatment , which is why so many infertile couples are reluctant to do it, even though they know that it maximises their chances of having a baby. It's not just the financial cost , it's the emotional toll it exacts as well. The uncertainty , and the horrible 2 ww can often be intolerable , and their fear is that if the cycle fails, they will be back to square one, and will have to start all over again - with a much smaller bank balance, and a broken heart to cope with as well ! Yes , doing IVF can be challenging, but when weighing the pros and cons, patients sometimes forget to consider the cost of not doing IVF. They feel that the only risk is deciding to do IVF, and if they choose not to go down the IVF path, they will have selected the risk free option. However, they are deluding themselves , and not doing IVF exacts a price as well - both an emotional cost , as well as an opportunity cost . 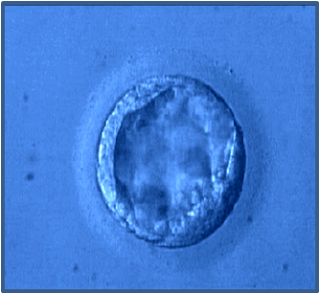 Choosing not do to IVF means that they deprive themselves at their best chance of having a baby, and this sense of loss will often come back to haunt them in the future, because they will kick themselves for the fact that they didn't give themselves the best chance of having a baby by not taking advantage of the IVF technology. You need to consider the long-term regret factor when making a decision, rather than only focus on the short-term costs. The truth is that as you get older, you usually regret the things you don't do , rather than the things you do. As you mature, you understand that all you can control in life is the process, not the outcome, which is why you need to give your baby making effort your best shot. Interestingly, there is a financial cost for not doing IVF as well. 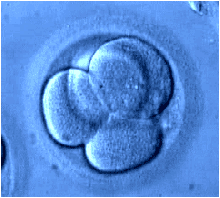 When patients don't do IVF , they continue doing ineffective treatments, such as IUIs , or using alternative options such as Clear Passage Therapy. These seem attractive, as they are sold as being inexpensive alternatives to IVF. Yes, these do cost less, but because they do not work, this means the poor patient sends up spending a small amount of money in dribbles over many years - which ultimately adds up to a small fortune, which they could have used for doing IVF in the first place instead. They finally realise that they have wasted a lot of money doing many ineffective treatments over many years, while they would have been better off just doing a single IVF cycle . However, by the time they understand this, it's too late, and all their money has gone down the drain in their futile effort to try to save money. You know that which IVF clinic you choose for doing your IVF treatment can have a big impact on the outcome of your cycle. This is why you spend a lot of time in trying to find the best IVF doctor. However, sadly most patients are not able to differentiate a good doctor and a bad doctor, and most will end up going to whichever IVF clinic their family doctor sends them to. In the past this was a safe bet, but this is no longer a reliable method for selecting an IVF clinic the medical profession is riddled with corruption. This is why you need to do your own research before blindly trusting anyone. It's a good idea to check out the IVF clinic your family doctor goes to, but please also check out at least one more. The truth is that there is no one best clinic, There are lots of good clinics out there, and lots of bad ones as well, and you do need to put in some effort to find one which works well for you. The secret is to find a doctor you can trust. I wish there was a list of certified clinics in India; or that the Indian government would ask clinics to publish their success rates, so that patients could use this as a guide. 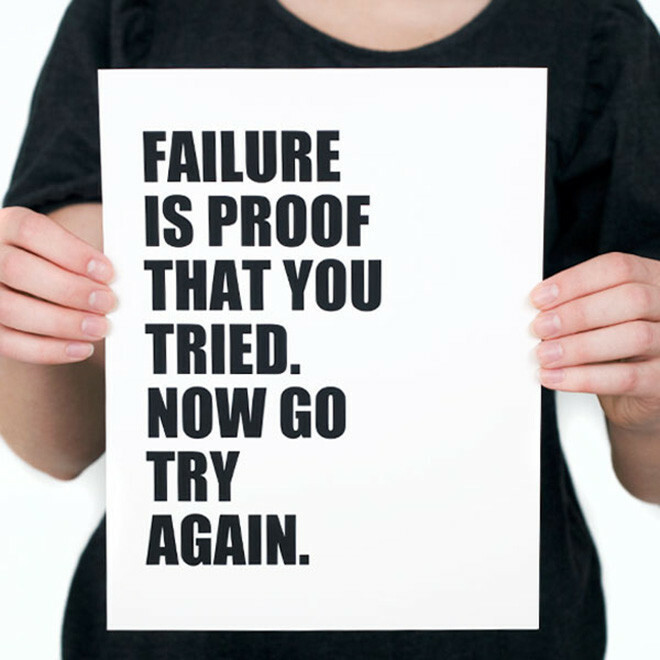 Sadly, there isn't, which means you will need to do your own spadework for yourself ! If you go to a clinic which makes you routinely wait a long time, that's a red flag, which means they don't respect your time and they're not well organized. If you don't get a chance to talk to the main doctor, that's a cause for concern as well, esepcially if you have failed many IVF cycles in the past, and are looking for individualized, specialized, personalized care from a senior experienced expert. It's a good idea to talk to other patients in the clinic while you are waiting ( and sadly, there will be a lot of waiting in most IVF clinics ). This can be a good opportunity to share notes, so you can compare your experiences with those of others. Similarly, if you have a doctor who seems to be too trigger happy , and orders a laparoscopy and hysteroscopy for every patient, in order to "rule out any problems" , then this can be a red flag as well. One size does not fit all, and you don't want a clinic which follows mindless protocols for all their patients. You can get a good sense of the doctor's philosophy when you visit his website. Does he want to educate you about infertility, so you know more about your problem , and can make well-informed decisions ? You can learn a lot when you finally meet the doctor. Is he in a rush ? Or is he willing to sit down and discuss your concerns ? Does he address them all ? Is he optimistic and hopeful ? Is he willing to share information? Is he willing to empower you? If your doctor refuses to answer your questions, or tries to put you in your place by reminding you that he is the doctor, then this should be a red flag. A good doctor will do his best to earn the patient's confidence, because he knows that IVF patients have lots of queries and doubts, and he will try to allay these before starting the treatment. Money is always an important issue. IVF can be an expensive treatment, and there is no certainty whether the treatment will work or not. While it's true that the most costly clinic is not always the best, you should worry if a clinic charges too little, because it's quite likely that they may be cutting corners in order to reduce their costs. 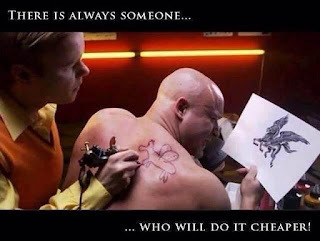 This may turn out to be much more costly for you in the long run. If the doctor asks for cash payments; or money under the table; or does not give you a receipt for your payment, then you need to worry. No honest doctor will do this - and if the doctor is willing to cheat the government, why do you think he won't be willing to cheat you as well ? Finally, how well does the doctor treat you at the end of your cycle ? Does he provide you with complete documentation proactively and routinely ? Does he provide embryo photos ? Or does he abandon you if your cycle has failed ?